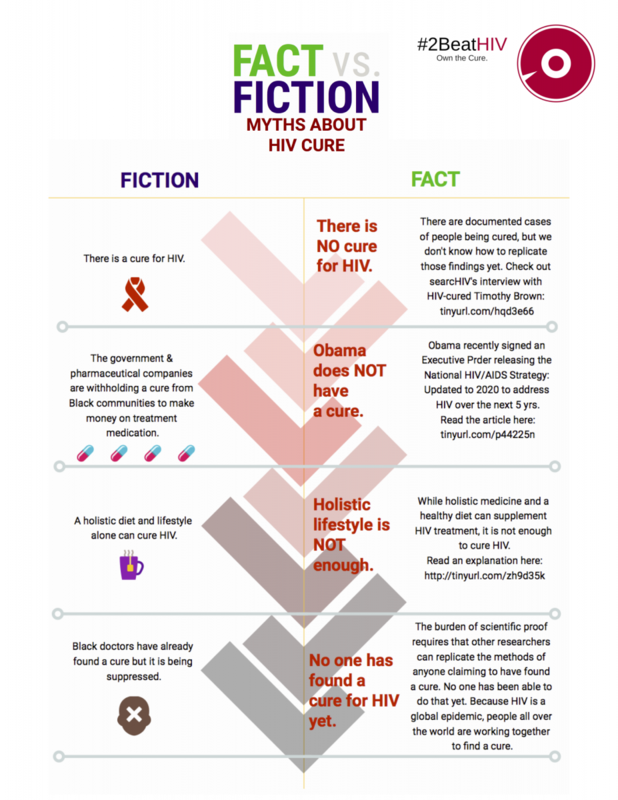 Misinformation about clinical research, mistrust between scientists and the community, and HIV-related stigma often impede efforts to find an HIV cure. HIV cure research is increasingly focused on achieving sustainable, drug-free viral suppression and eliminating latent virus from the body. However, many HIV cure research studies have high participant risks, such as potentially adverse side effects from experimental therapies and viral rebound from treatment interruption procedures. These potential participant risks increase the importance of community engagement. It is important to engage community members in the early stages of HIV cure research to get a better sense of their concerns, priorities, and suggestions on ways to improve the roll-out of clinical trials. To date, research engagement to address these barriers has been minimal, designed from the top-down, and shown to be only moderately effective. 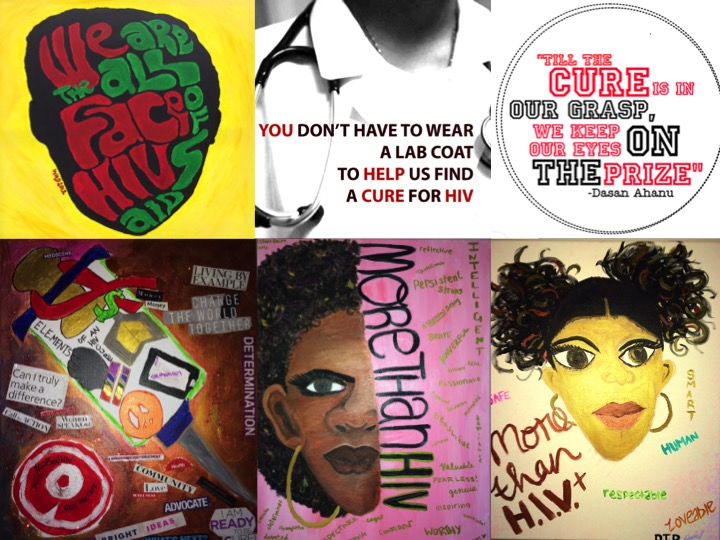 The 2BeatHIV project conducted a series of crowdsourcing contests and in-person engagement events to better understand public perspectives about HIV cure research from the bottom-up. Adaptation of contest submissions and community feedback into educational handout. Since 2015, we have focused on engaging African Americans between 18 to 35 years-old because they are under-recruited to participate in HIV clinical trials and are traditionally mistrustful of clinical scientists; however, participation in the project has been open to all interested stakeholders. We also engaged different stakeholder groups, such as business owners, community-based HIV service organizations, local media, policymakers, and people living in housing developments. Local businesses donated contest prize incentives and hosted in-person events. Multimedia engagement included sharing photos, flyers, videos, and HIV research-related content via social media and radio advertisements. In-person events included a hip-hop concert and community forum about HIV cure conspiracy theories, a fashion show, a transgender women’s empowerment day, a summit on Black women’s participation in HIV cure research, and a spoken word night. The crowdsourcing contests and research engagement events aimed to disrupt traditional, top-down approaches to HIV cure research engagement by placing the solution-generation process into public hands. Contest submissions reflected the perspectives of people from traditionally marginalized communities. The crowdsourcing contest and events provided an opportunity to facilitate critical community dialogue about HIV cure research. Black community members were concerned about potential adverse effects from clinical trial participation and affordability of HIV cure therapies. Community members were also concerned about the experience of participating in clinical research, emphasizing the importance of adequately compensating participants, protecting confidentiality, ensuring proper informed consent in language that is easily understandable for all literacy levels, and ongoing engagement with the community at every stage of clinical research, including identifying research questions and study design. Findings informed the design of an HIV cure research capacity building workshop series focused on the ethics of clinical research. We reported community feedback directly to HIV cure scientists, who can use the data to inform the design of future clinical studies. Findings suggest that crowdsourcing contests can be used as an ongoing engagement tool to better understand community perceptions about HIV cure research and improve the design of future clinical trials. Additionally, community feedback highlighted the need for better ways to get connected to HIV prevention and treatment services and clinical trials. Through my consulting company, Community Expert Solutions, my colleagues and I have developed an online platform, Digital LinCS, which automates the process of pre-screening and connecting people to clinical trials in which they are eligible to participate and patient assistance programs to access subsidized HIV prevention and treatment medications. The software also serves as an online case management system that eases providers’ ability to track eligible services for patients and manage eligibility documents. Digital LinCS will be available for licensing in early 2019. Allison Mathews, PhD, is a postdoctoral researcher in the Department of Social Medicine and the Institute for Global Health & Infectious Diseases at the University of North Carolina at Chapel Hill. She is the director of the 2BeatHIV project, which uses crowdsourcing contests to develop new ways to engage the community with HIV cure research. 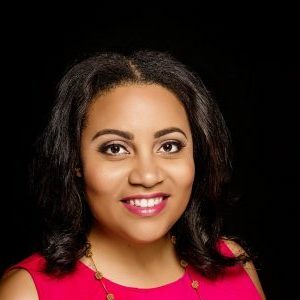 She is the founder and CEO of Community Expert Solutions, a consulting company that specializes in research engagement, crowdsourcing, and digital health technology to promote health equity.